The Waterloo Region Record‘s May 1, 2013 article, 1,718 high school students get immunization suspension notices, allows for no comments, or I would’ve pointed out that vaccinations are not mandatory in Canada, and this was confirmed in this official Canadian government report in 1996. 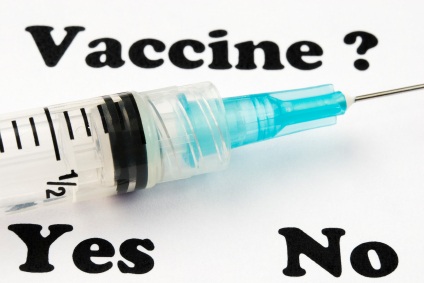 The article is accurate in not claiming vaccinations are mandatory, but it also happens to omit the fact that they aren’t mandatory, and the only requirement for vaccinations for public school students is if there’s a declared outbreak at the school, and then it’s only a requirement for continued attendance, which leaves parents with other education options in the meantime. Unlike many U.S. states (30 at the time of the article), these three provinces allow exemptions for conscience, so one doesn’t have to claim a religious exemption when conscience is the real reason. “Shafiq Hudda is surprised to hear that Mayor Carl Zehr may oppose an Islamic centre that plans to open in the Huron Business Park. He said that he would try and help us with the zone change,” Hudda said. “He would do whatever he can to help us. Sure, there’s a municipal council vote coming up on September 17, but did they really need to write this article on September 11, the anniversary of the 9/11 attacks? Is that the most favourable day to write such an article for engendering a sober analysis of the proposal on its merits? As for 9/11, if you still think 19 Muslims thwarted all 16 U.S. intelligence agencies, the FBI, the FAA, NORAD, Israel’s Mossad and the UK’s MI6, then see my article, What didn’t happen on 9/11, and listen to Peter Eyre’s succinct talk on what happened on 9/11, and watch Flashback: David Ray Griffin’s devastating critique of the official 9/11 conspiracy theory. Previously, I wrote the article, Corporate Feudalist media omits alternative voting options in September 6, 2012 Kitchener-Waterloo byelection. The Record later decided to also exclude the majority of candidates in their candidates forum, so I invited them to appear on my show. 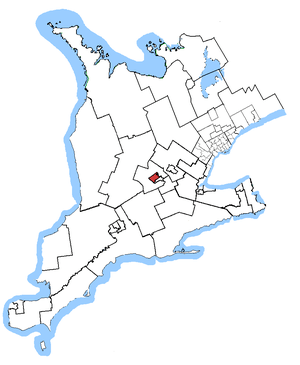 The Kitchener-Waterloo byelection candidate forum planned for Monday, August 27, 2012 will only be including four of the 10 declared candidates, according to the Waterloo Region Record. I first discovered in 2007 that Canadian citizens who are residents in Ontario can vote for none of the above by declining their ballot. I personally availed myself of that option upon concluding that I couldn’t in all good conscience support the Ontario Green Party as an alternative to the obviously detrimental three major parties: Liberal, Progressive Conservative and NDP. The wording makes it sound as if you’re throwing away your vote, but in reality, it’s effectively a vote for none of the above. 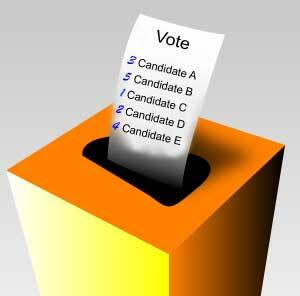 The importance of the option to decline your ballot is that it clearly shows that the voter is dissatisfied with the available candidates, demonstrating a principled stand, and not being lumped in with those who are simply too lazy to vote, or those who spoil their ballot intentionally or accidentally. There is no such option at the federal level, despite a 2001 bill (C-319) that would’ve provided Canadian voters with such an opportunity in subsequent elections. Not only did the Waterloo Region Record omit mention of Libertarian candidate, Allan Dettweiler, it also omitted mention of the option to decline your ballot. Are they really unaware of this option, or are they deliberately omitting reference to it? Ontario Libertarian Party candidate for the September 6, 2012 Kitchener-Waterloo byelection, Allan Dettweiler, is scheduled to be on Exposing Faux Capitalism with Jason Erb, August 19 at 1 PM Eastern. I first wrote about him in my August 11 article, Corporate Feudalist media omits alternative voting options in September 6, 2012 Kitchener-Waterloo byelection, after I had discovered that the Waterloo Region Record had omitted him in a list of candidates, despite a press release from the party the day before an article. Was the Record really unaware of him, or are they less capable of basic research than me? A subsequent omission of him in another article that day shows it was no accident. In fact, the Greater Kitchener Waterloo Chamber of Commerce deliberately didn’t invite an independent candidate and Ontario Freedom Party candidate in the 2011 election, and their plan is to exclude Dettweiler from the debate in this byelection. Why are these organizations so intent on keeping their readers and viewers from finding out about him and his libertarian principles? Is it because he might point out, as I did, Waterloo City Council’s mixed message on property rights? Under the Canadian Constitution, the provincial governments have exclusive jurisdiction over property, and an act of the Ontario Parliament could put a stop to the redistributive policies being floated by the Council. Or is it because he might point out, as I did, Ontario PC leader Tim Hudak’s KW byelection hypocrisy? They know that the so-called four major party candidates won’t bring up these embarrassing issues. For an uncensored discussion of issues relevant to Kitchener-Waterloo residents and other freedom-loving individuals, tune in to my show on August 19 at 1 PM Eastern. Did he forget that it was his party that ran up a $5.6 billion deficit and handed out extra millions in interest payments to bankers, despite claiming they would balance the budget? It’s yet more rhetoric from a typical big party politician, and why I won’t be voting for any of them this time around either. 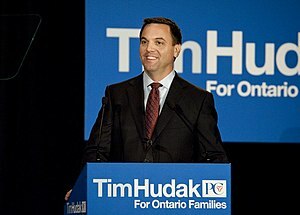 Previously, I wrote the 2011 article, Ontario PC leader Tim Hudak’s promises shows he’s a shameless opportunist. And just because a party has freedom in its name doesn’t mean I’ll vote for it, as I demonstrated with my article, Why I’m not voting for the Ontario Freedom Party in this 2011 provincial election. On July 16, 2012, I wrote the article, The mass media’s cynical portrayal of an organized political protest, about the Waterloo Region Record downplaying a successful organized political protest. This time, from their August 10, 2012 article, Kitchener-Waterloo gears up for byelection, they omitted alternative voting options. No mention was made, for instance, of Ontario Libertarian Party candidate, Allan R. Dettweiler. I found an August 9 announcement on the party site that they had a candidate for the riding, and even saw a personal statement from the candidate, directly addressing the byelection. I contacted the reporter of this story to inform her that there was another candidate in the race, whom she omitted, and that he should be mentioned. The main argument that the Corporate Feudalist media uses in omitting reference to parties such as the Libertarian Party is that they are incapable of forming government. However, I pointed out that since it’s a byelection, and given the current electoral representation, the election of only two candidates can affect which party will be the governing party, and the Libertarian party candidate is just as relevant as the other two of four candidates who were listed. As far as voting goes, I don’t vote for a party just because they claim to be libertarian or pro-freedom, as I demonstrated with my article, Why I’m not voting for the Ontario Freedom Party in this 2011 provincial election. For more on why I include the Record in my designation of “Corporate Feudalist media”, listen to my interview with Dennis Marker, author of Fifteen Steps to Corporate Feudalism: How the Rich Convinced America’s Middle Class to Eliminate Itself.